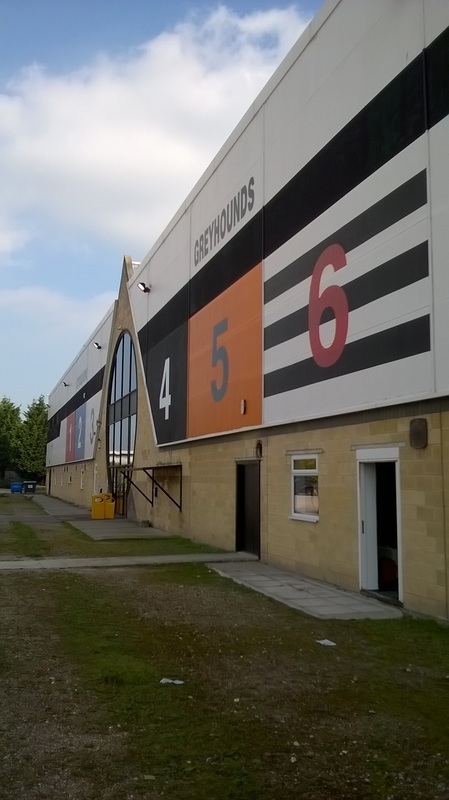 As you enter the gates to the stadium, look to the right of the building frontage and you will see a huge number 6 on the wall. My studio is below this number and has the sign Sittingbourne Contemporary Art Studio. above the door.